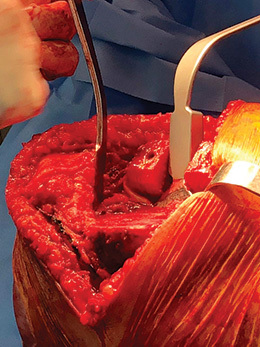 After the planer rasp handle/plate unit is threaded onto the intramedullary rod, the handle is moved back and forth through an arc while the cutting surface of the planer is held against the tibial bone, to realign the cut and to remove any imperfections. 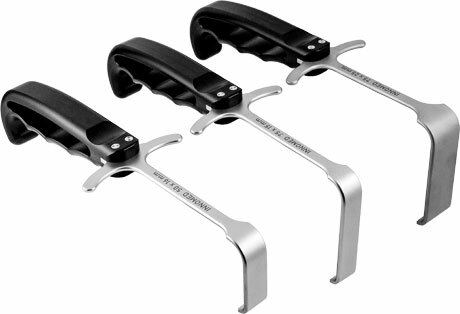 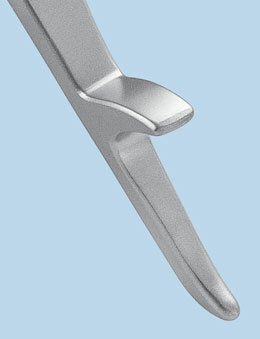 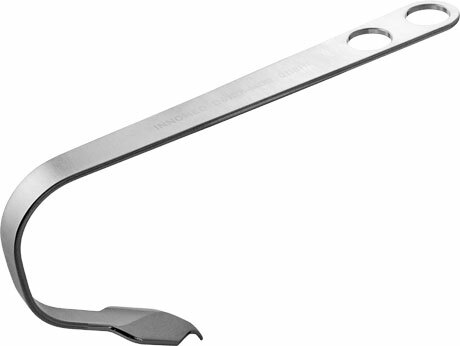 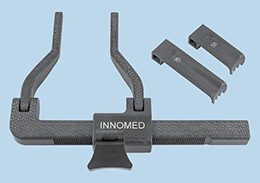 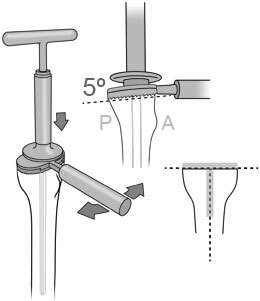 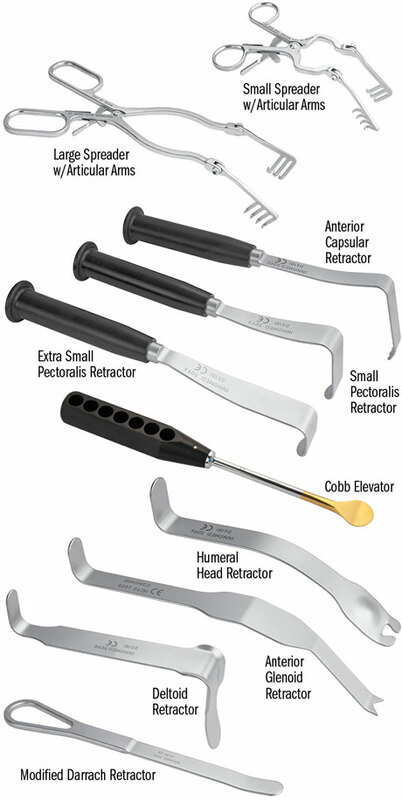 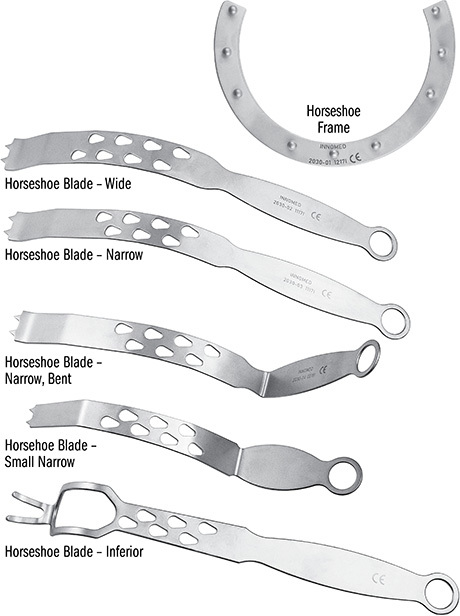 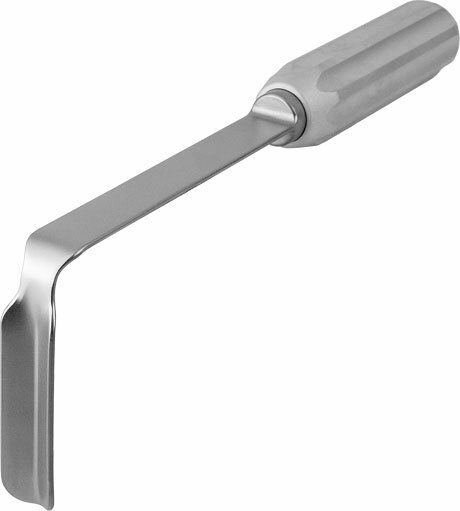 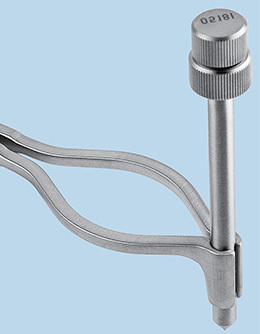 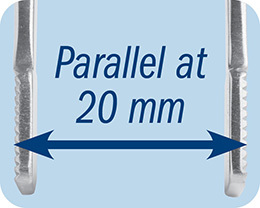 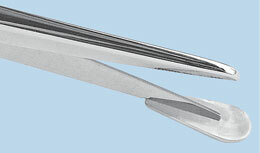 For use with any primary or revision knee system when an intramedullary cutting guide is being used. 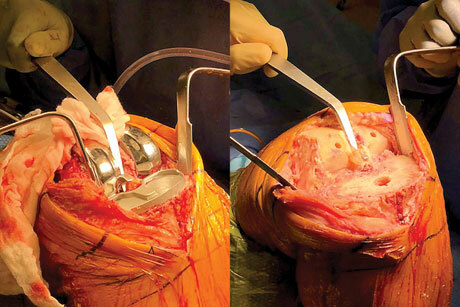 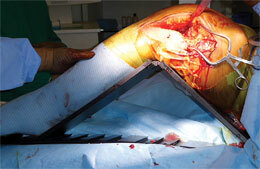 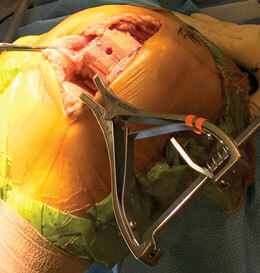 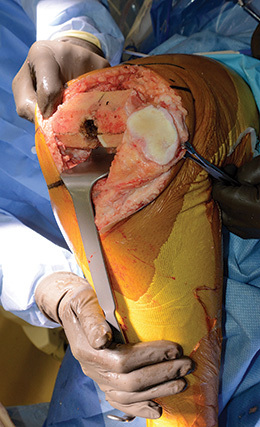 cement/prosthesis interval in TKA tibial tray and femoral component revisions. 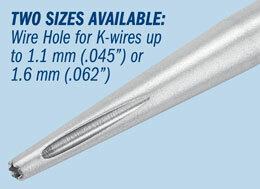 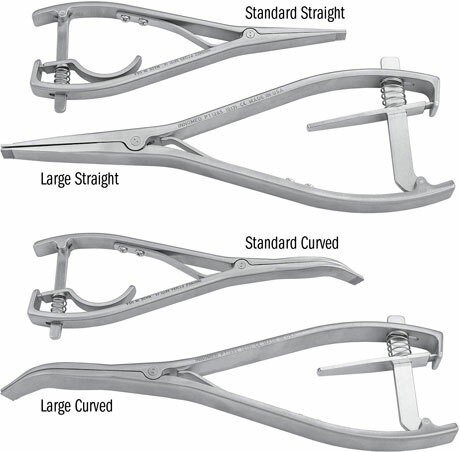 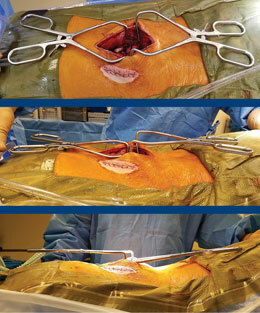 The curved design is useful in working around pegs & fins to get posterior cement access. 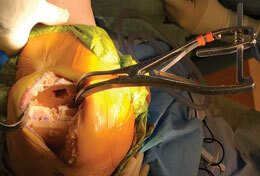 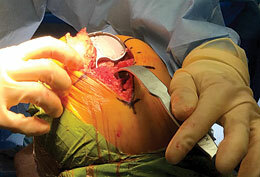 Also helpful with removal of other implants, i.e shoulder, ankle, etc. 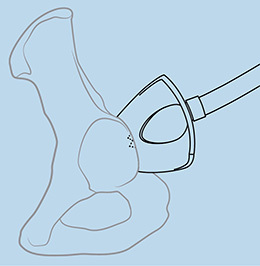 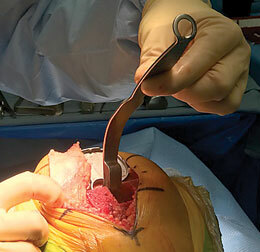 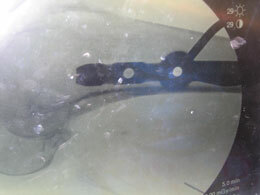 he osteotome portion also can be used to "feather" the subchondral surface to expose bleeding bone. 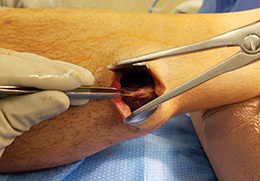 It is also useful in instances of obtaining autograft, as it can be used to create a bone window and then remove cancellous bone. 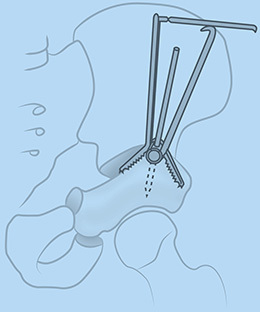 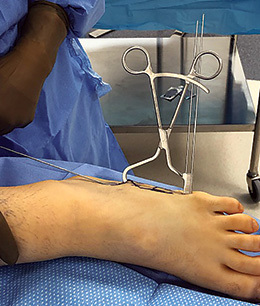 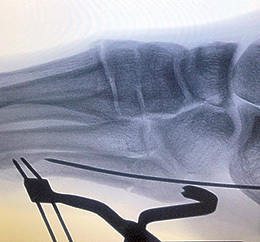 Distally there are two k-wire holes for placement in the distal 5th metatarsal and the 2-pronged clamp proximally is placed on the tuberosity, allowing a "high and inside" screw placement without interference. 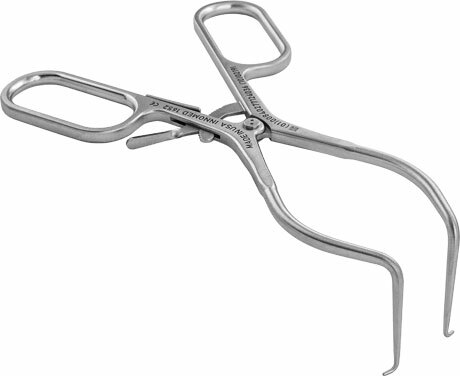 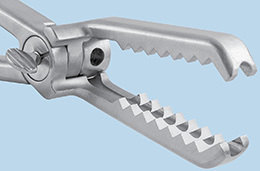 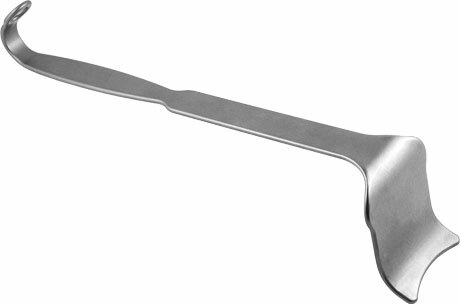 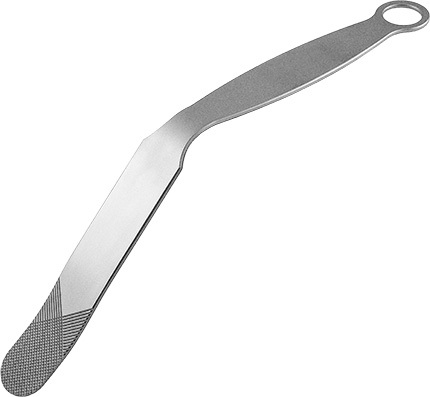 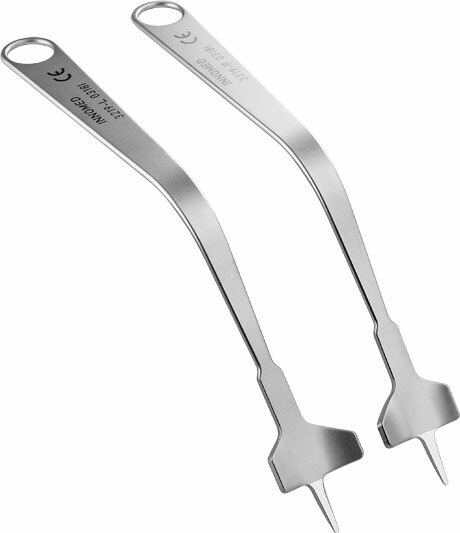 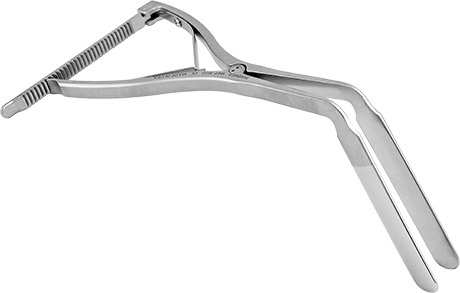 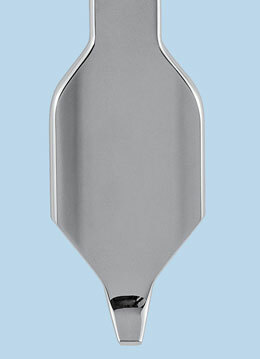 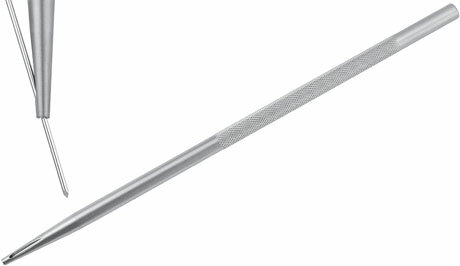 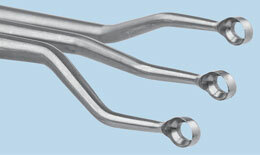 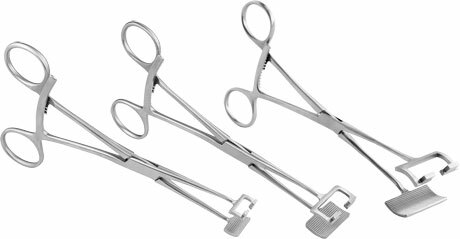 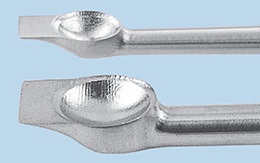 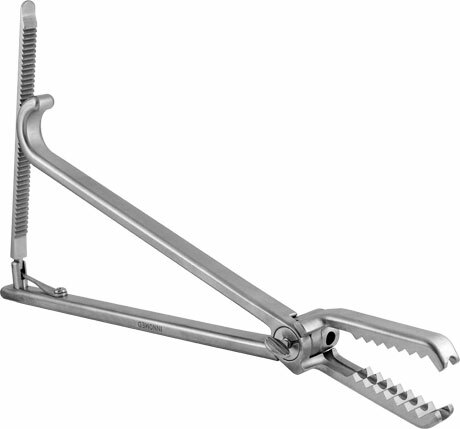 May also be used for open reduction internal fixation for hand or fibula procedures. 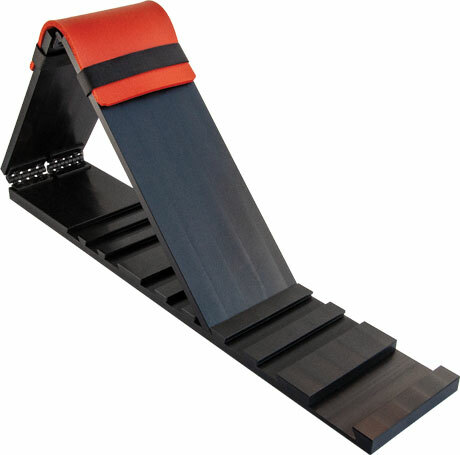 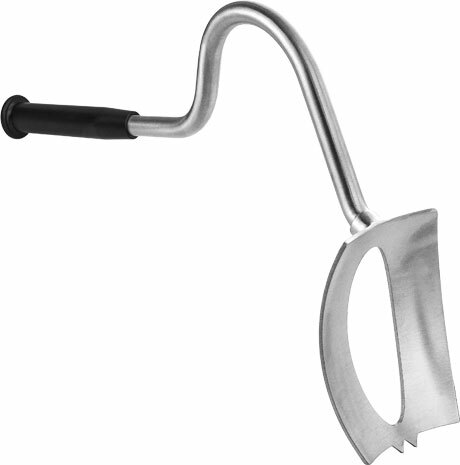 Features a large handle for gaining a solid grip, and a large striking platform. 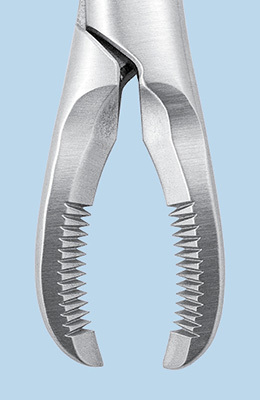 Locking ratchet mechanism helps prevent accidental release, and provides for controlled adjustment and easy release. 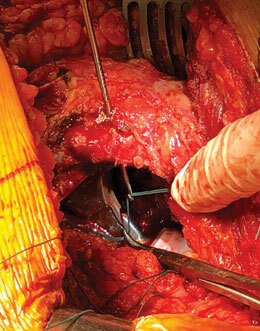 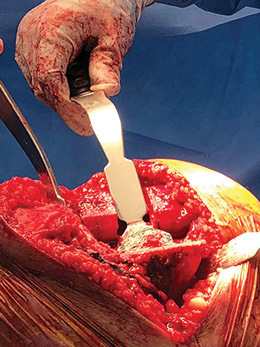 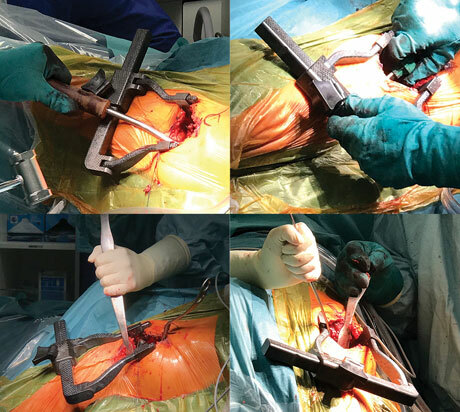 The guide is placed on the femoral neck and adjusted using the intraoperative C-arm image to visualize and compare to the pre-op templating, providing an excellent location for the initial femoral neck osteotomy. 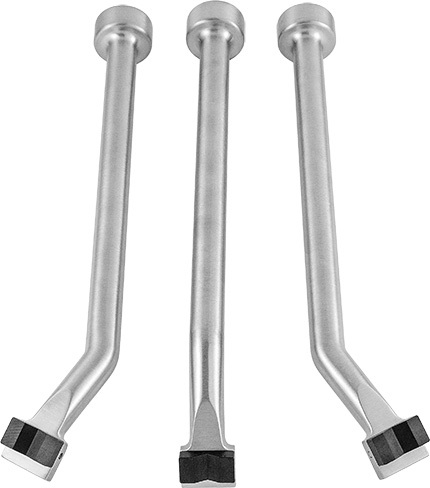 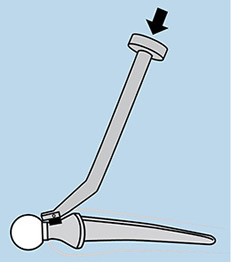 Alternatively, a 7.3 mm cannulated screw that accepts a 3.2 mm pin may be used in the greater trochanter. 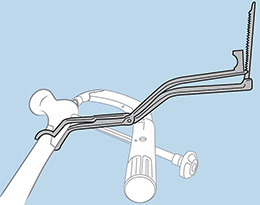 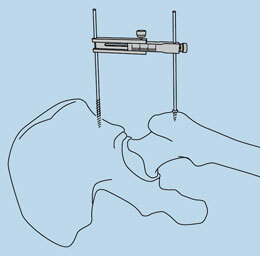 Using the sliding caliper, the difference in leg length measurement before hip dislocation and after the THR procedure helps show the change in leg length. 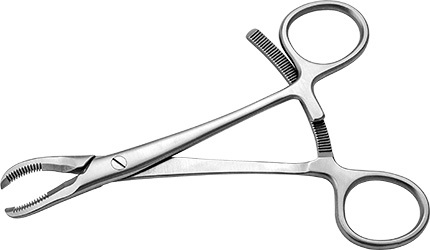 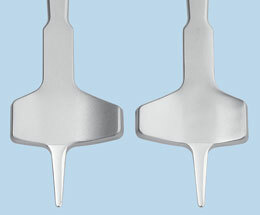 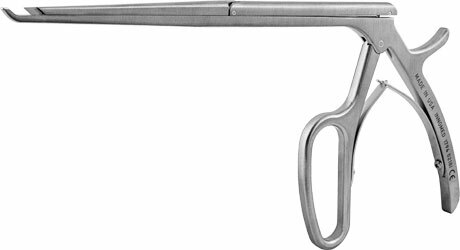 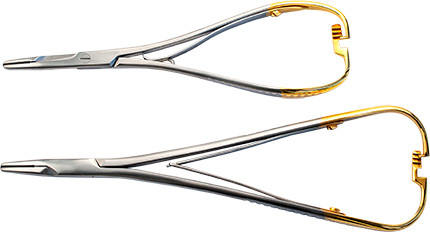 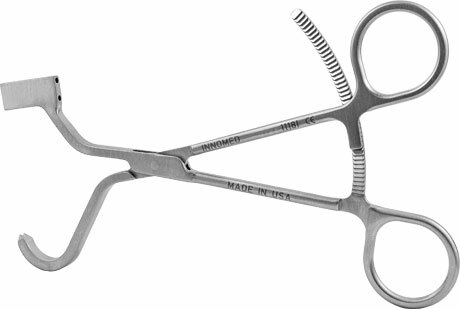 Fluted to enhace visualization and room when placing sutures in the capsular flaps prior to placing three prong retractors. 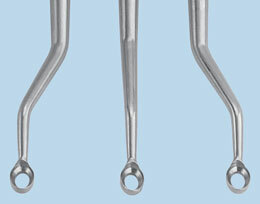 Non-glare finish featured on the metal retractor parts. 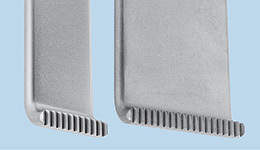 Made of strong, lightweight carbon fiber PEEK composite material, which is completely radiolucent, helps to prevent from marring component surfaces, and can be steam sterilized. 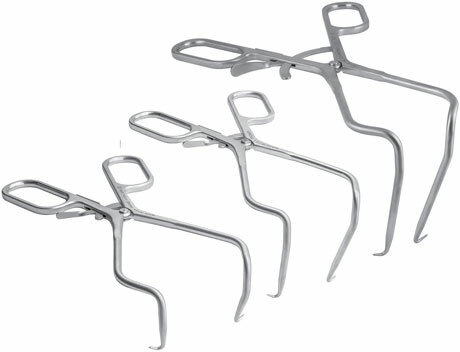 Designed for spine but can be used for other surgeries as well. 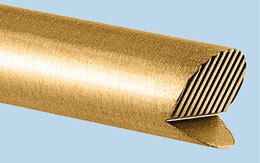 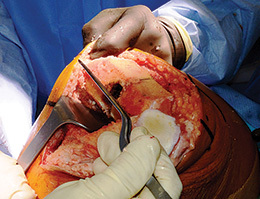 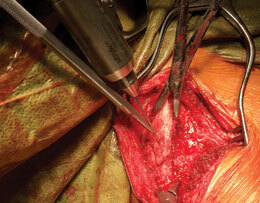 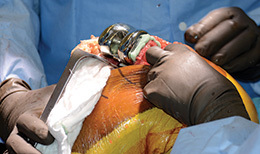 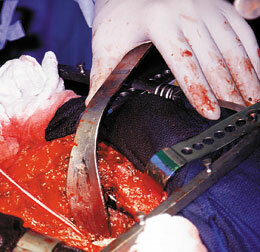 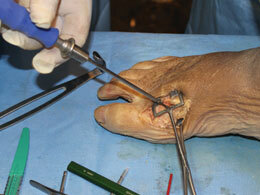 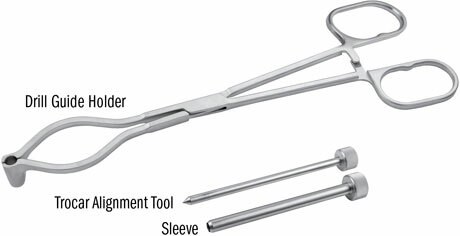 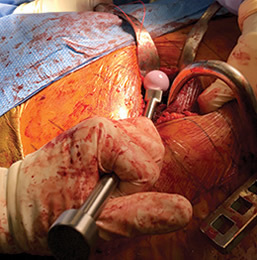 The drill guide unit (sleeve/trocar) is placed over the side of the bone through an incision. 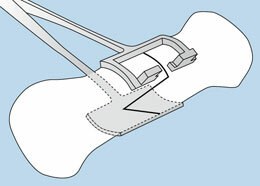 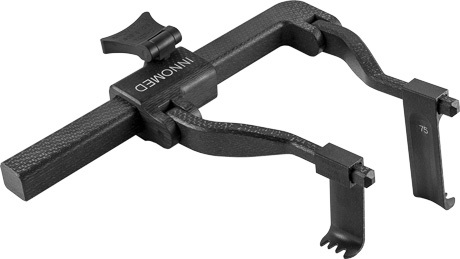 The locking holder is attached to the guide and rested against the skin for stability. 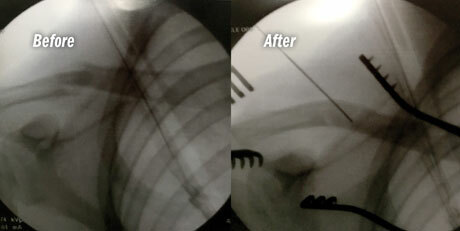 With the x-ray on, the guide unit is adjusted by moving the holder until the trocar lines up with a hole in the rod. 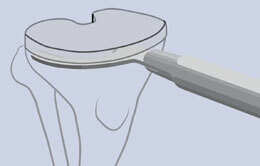 The trocar is removed and a drill bit is then inserted into the guide.